Michigan is known for its lakes and recreational areas. In the summer there are all kinds of fun activities that you can do with your four legged friend. Now that the lakes are frozen and everything is covered in snow. What to do? 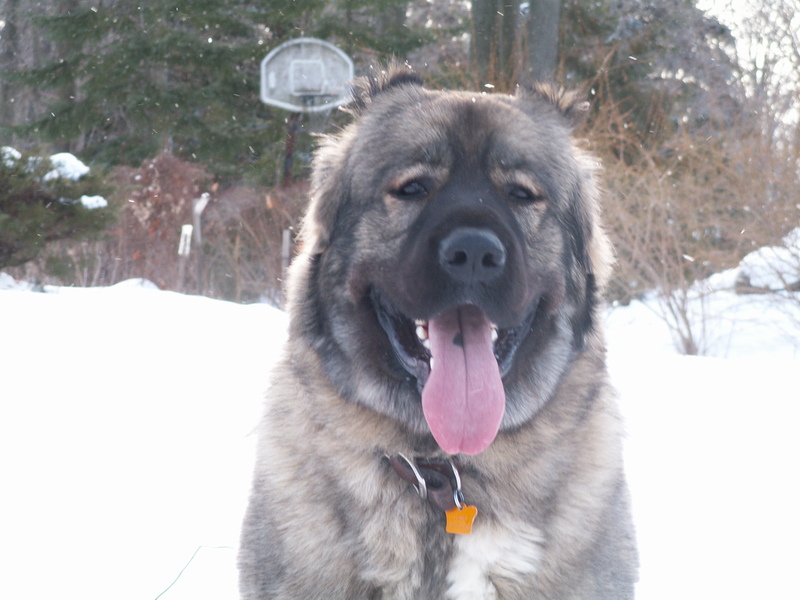 Your dog certainly doesn’t hibernate in the winter and they will still need to get their exercise. Don’t think that just because you put them outside in your backyard that they will play. If you don’t find some way to exercise or engage them in some type of activity they may become bored and become destructive. As long as you are willing to bundle up a little there are all kinds of fun winter activities. 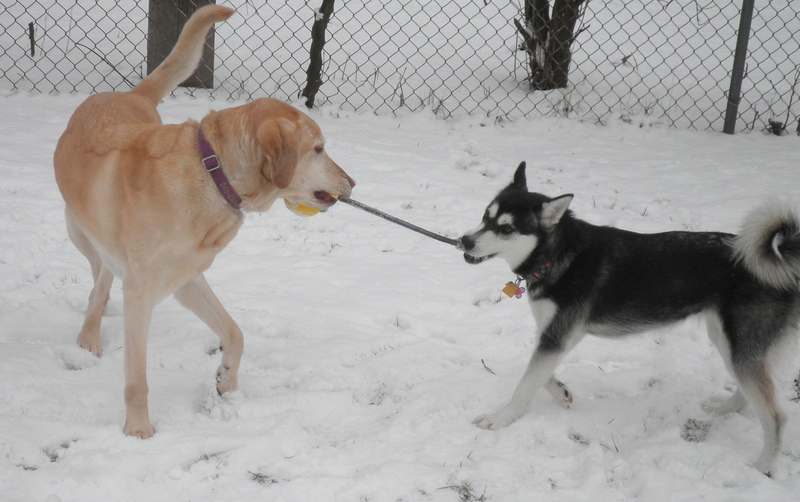 In fact all of my dogs really enjoyed playing in the snow and couldn’t wait until the next snow fall. Well, all of them except for my Whippet. It is important to also know your dog. A dog like a Whippet will get cold very quickly and so they need a coat. Your dog will usually give indications that they are cold. They might start to shiver or they simply may not want to play any more. I wouldn’t take my Whippet out to play whenever the temperature went below zero. I actually think that when it was this cold his feet would get cold as well. The good news is that there are some nice booties for dogs. Of course you have to get your dog used to wearing them. Booties are also great if you take them for walks where there is a lot of salt. For dogs with lots of hair on their feet they tend to develop ice balls between their toes. This is very uncomfortable and can actually make them bleed. The good news is that besides booties there are some other products on the market to prevent this such as mushers secret. It is a wax that builds a natural barrier on the dog’s pads. It also provides a little protection against salt. I have also used Vaseline on my Irish Wolfhound’s feet. The problem with the Vaseline is that it would wear off quickly. Whatever you do make sure that you keep the hair trimmed very short on their feet, because this will help keep snow from building up. 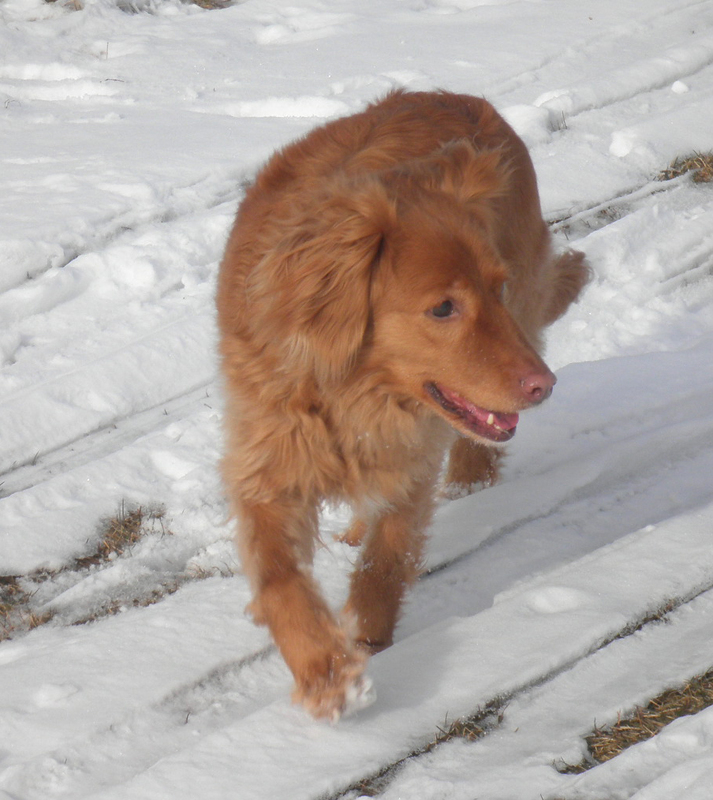 Dogs just like kids love to Frolic in the snow. Of course to help them run around you can also toss a ball or Frisbee in the snow. The dog has to run through the snow using their nose to find the object. This can keep them busy for quite some time. This works great if don’t want to walk too far or your yard is small. I know someone who’s dog loved chasing the elusive snow ball. Simply make a snow ball and toss it. The dog runs around trying to find it. I have done this with my Labradors, but I always feel bad that they never can catch the ball. So after a few fake ones snow balls I would call them to me and either given them a treat or took a real tennis ball out of my coat pocket This way they would get some satisfaction. If you have a place to take your dog for a hike what could be more beneficial than that. You get your exercise and so does your dog. Michigan especially Oakland County is blessed with many really nice trails that you could hike for miles. My two favorites are the Clinton River Trail in Rochester to Auburn Hills along with The Paint Creek trail in Rochester Hills to Lake Orion. Just remember unless you have a car parked at the stopping point, whatever you walk one way you have to walk it back. Also make sure that you bring water with you. Just because it is cold don’t think that your dog won’t get thirsty. Be sure to bring a poop bag with you. There might not be many people using the trail in the winter, but no one should have to deal with accidentally stepping in your dogs waste once the snow melts. I love walking the trails and they are so beautiful especially when the snow is covering the trees. If the snow is really deep, you can always us Snowshoes. 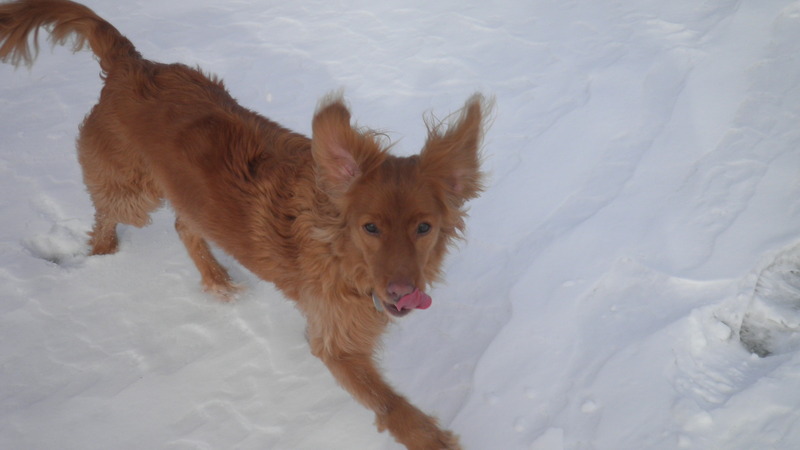 Your dog will love bounding and jumping through the snow. 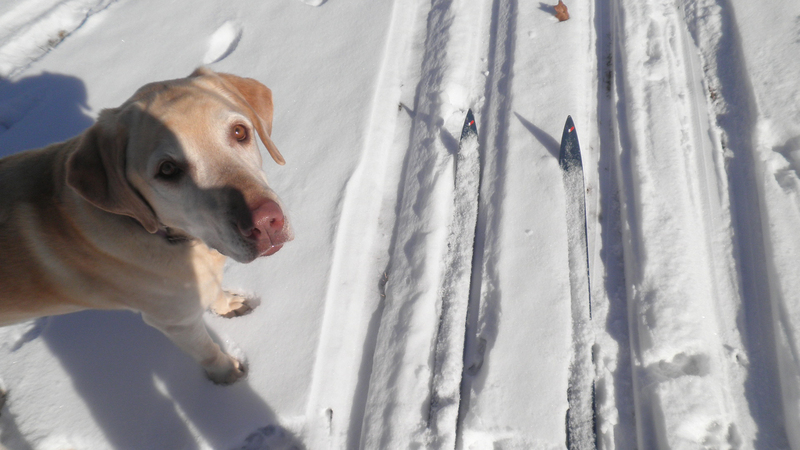 Cross Country skiing: Is for the braver of heart. For me I love to ski. Give me two inches of snow and Windy, Fireball and I are off cross country skiing. Because I can go in the morning; my favorite place to ski is the golf course. There is usually no one out there, so I can let the dogs off leash. This way we both have fun and get a great workout. I have also gone cross country skiing when there are more people skiing, so under these circumstances the dogs have to stay on leash. They still have fun but they have to stay in the heel position. If you are going to do this make sure that your dog will walk perfectly by your side. If not they might suddenly cut in front of you making you fall and perhaps severely hurt yourself. You could also find yourself running into them which could injure them. If you are going to let them off leash be sure that you have a solid recall. You wouldn’t want your dog to take after a deer or rabbit. Another sport is Skijoring. This is a winter sport where a person wearing skis is pulled over the snow with one or more dogs pulling them. To be honest it looks like a blast, but I would be afraid that I would fall and break something. Of course you could always get into the wonderful sport of Dog Sledding. This takes a little more commitment on your part, but I am sure it would be an awesome sport. On the other hand I have attached my dogs to a sled and let them pull my little nieces and nephews. Of course the dog always gave them a few kisses in the process. The dog I grew up with loved to go tobogganing. Ryan, a black Labrador mix would run after us, jump on the toboggan and ride down the hill with us. Or he would race down the hill after us. He never tired no matter how long us kids could bear the cold. He would sleep the rest of the afternoon and so did we. I am sure Mom was happy as well. 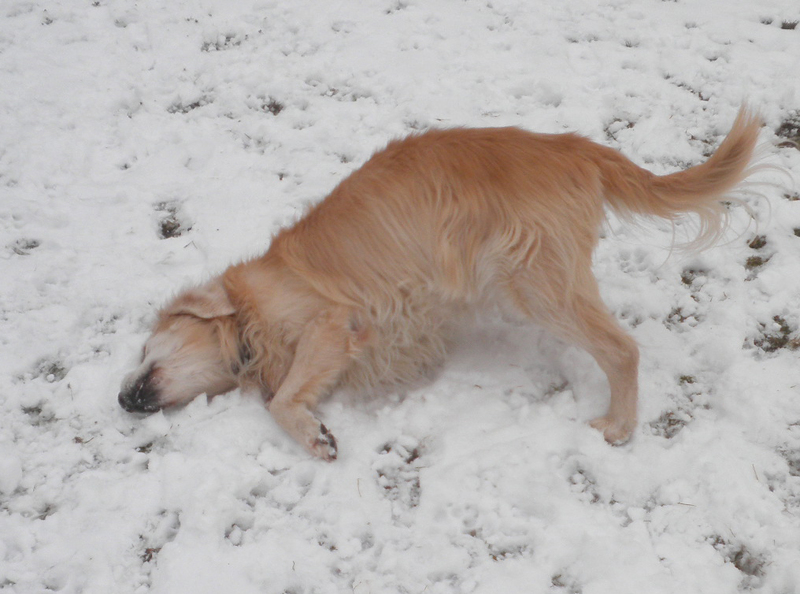 I have a client/friend whose two Golden Retrievers love to make snow angels. 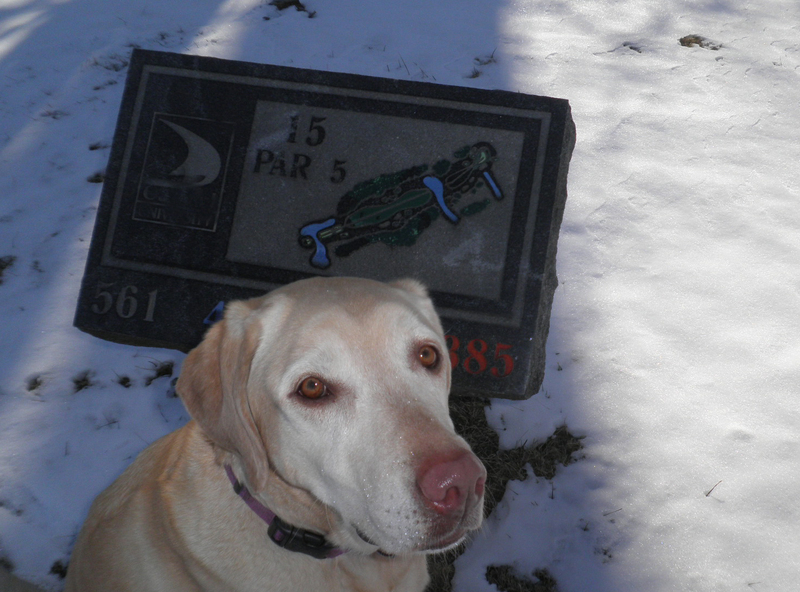 She takes her dogs for a walk on a golf course and the dogs love rolling in the snow. They will actually roll down hills on their backs. 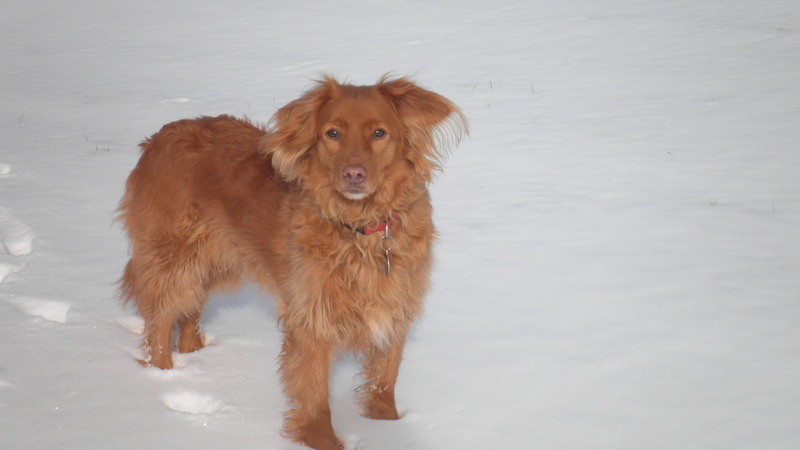 Golden’s have very thick coats, so they are not bothered by cold weather. Often times a dog will teach themselves this, but to help the process. You would first teach them to roll over inside the house. After they are proficient make them roll over outside in the snow. 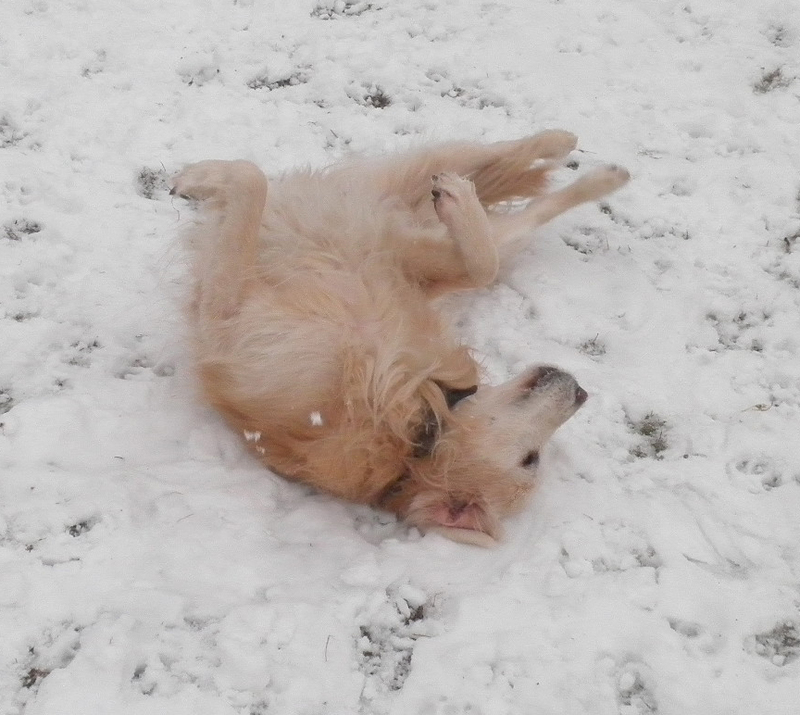 A few times of doing this gets them to love rolling in the snow. I don’t think I would teach this to a short coated dog. As you can see there are many things that you can do to overcome the winter blues that will help you and your dog stay fit and prevent cabin fever. The only difficult part is that you have to bundle up and in some cases bundle up your dog. I attached a listing of all the parks and trails that Michigan has to offer. 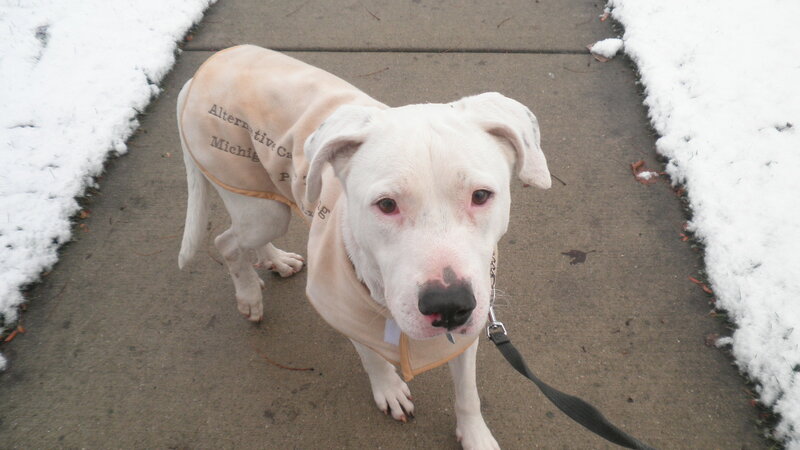 http://www.michigandnr.com/parksandtrails There is no reason that you and your dog can’t go out today and have some fun. Enjoy! !